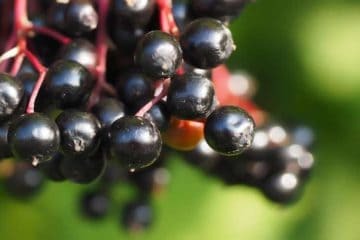 If you grew up in the Midwest, you certainly would never have thought of it as a superfood. Or a food for that matter! When in-season during the late summer, it was the chore no one in the family wanted… husking corn and picking off all these little strings. If you didn’t do a good job cleaning the corn, you would pay for it after dinner, with time spent flossing. Then there’s getting rid of it. Can you put corn silk down the garbage disposal? No, unless you want a visit from the plumber. A good InSinkErator will chop it up, but then the strings expand and clog the disposal and drainage pipe. In short, this unwanted part of the vegetable can seem like it’s the bane of your existence, but might it be the best part after all? 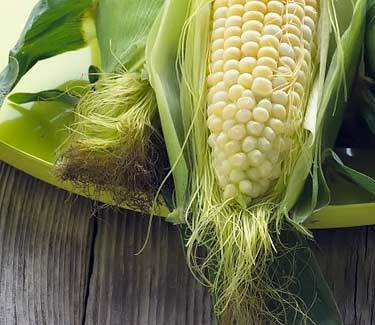 The name corn silk is used to describe the hundreds of light yellow threads that envelope an ear of mature corn. Ranging from 4 to 8 inches (10 to 20 cm) in length, their purpose is to catch pollen from the air. After doing so, the pollen travels down the silk to the ovule, where fertilization occurs and a kernel then develops. That’s why corn has hair all over it. There is always one corn silk for each kernel. The number of kernels per ear of corn can range from 500 to 1,200, with 800 being average. In addition, there may be silk strings that were never pollinated and therefore, never grew a kernel at the bottom. In total, that’s a lot of hair to remove! Zea mays is the botanical name for corn. The scientific name for corn silk is two-fold; the tip is called the stigma and below it’s the style, which is the narrow upward extension of the plant’s ovary. These are the same names used for all flowering plants. 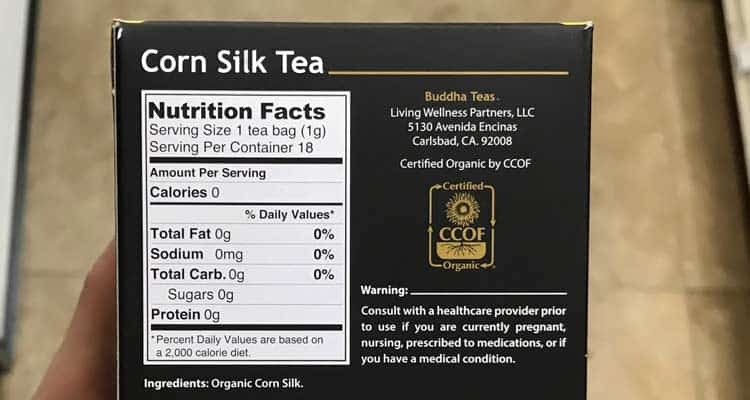 Corn silk tea bags list zero calories on the nutrition facts label. Technically there may be a couple, but labeling laws allow for rounding down to zero when the count is less than 5. Korean corn silk tea (oksusu-suyeom-cha) is a popular hot drink during the winter months. It’s only made from corn, so it’s naturally caffeine free. Since dry corn silk powder is nearly 50% fiber and only around 1% fat by weight, the calories in it come almost entirely from the carbohydrates and protein content. 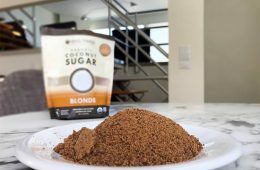 One teaspoon of the powder will contain around 7 calories. Per tablespoon, it’s 19 calories. 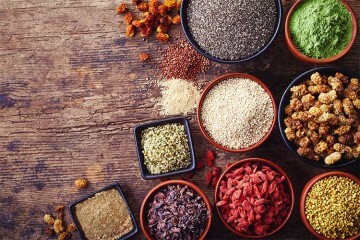 As an unverified herbal remedy, corn silk has been used for diuretic qualities, weight loss, urinary tract infections (UTI), vaginal yeast infections, frequent urination due to enlarged prostate, bedwetting, high blood pressure, hair growth, skin lightening, kidney detox, high uric acid/gout, gallstones, cat/dog incontinence, and diabetic blood sugar support. Some of these traditional uses for corn silk are not supported by science whatsoever. Some date back hundreds of years, if not earlier. 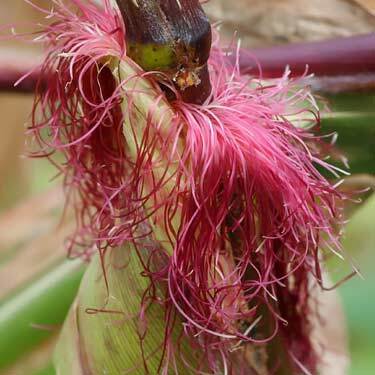 Native Americans in Missouri used corn silk to make a tea for treating bladder infections. 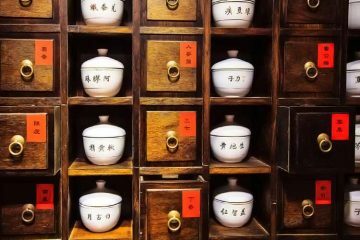 The United States Pharmacopeia (USP) officially recognized it as a diuretic in 1894. The National Formulary (NF), which is an official publication of the American Pharmaceutical Association, listed it for use as a diuretic from 1916 through 1946. You can read more about its history in American Folk Medicine: A Symposium. Today its use is not recognized as a medical treatment for anything. It should not be used to treat, cure, or prevent any disease. That said, perhaps with all the new research rolling out, that might change in the future as scientists begin to better understand what corn silk is good for. What follows are the preliminary findings that relate to each alleged benefit. Starting with the most-known historical use of it. The mechanism of how and why this effect may happen has only been studied formally within the past couple decades. 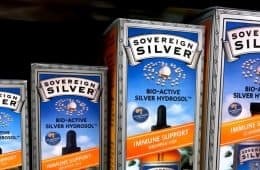 Rodent research out of the 2000’s found that corn silk extract increases glomerular filtration rate, while inhibiting sodium and chloride reabsorption. Glomerular filtration rate (GFR) is the best measure of kidney function. The higher the GFR, the more the kidneys are working. Sodium and chloride help hold water. By reducing their reabsorption, water weight loss is accelerated. In the research, diuresis (urinary volume) was higher when compared to group drinking regular water. In short, they were peeing more. 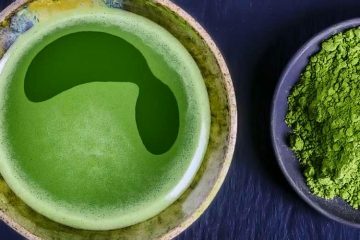 Despite the fact that Native Americans were reportedly using corn silk tea for bladder infections (cystitis) in past centuries, it has never been studied, neither in humans or animals. In the lab, a pharmaceutical college in Dubai did tested various extracts of corn silk against 12 types of bacteria including Escherichia coli, Bacillus cereus, Staphylococcus aureus, and Salmonella typhi. 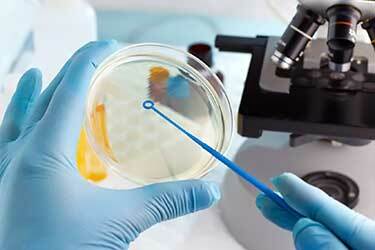 A common cause of yeast infections, Candida albicans, was also tested. 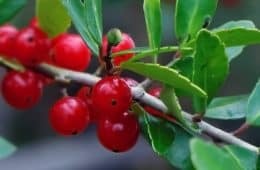 In theory, the combination of antibacterial activity as well as flushing out of the bladder (through increased urination) there is reason to believe it may help, though research is needed to know. 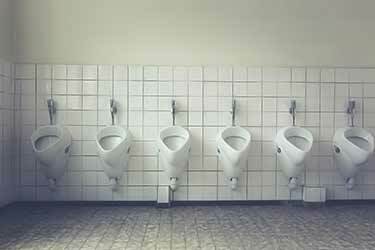 Regular bladder infections (cystitis) should not be confused with interstitial cystitis (IC), which is a chronic, painful bladder condition of a different cause. There has only been one human clinical trial involving corn silk. Using it for high blood pressure was one of the parameters measured. 20 systemic and 20 non-systemic hypertensive patients participated. Each received an aqueous (water-based) extract of corn silk containing a dosage of 60, 130, 192.5 or 260 mg/kg body weight. The tests were repeated 2 weeks later using a dosage different than prior. This was done until each patient tried all 4 dosages. 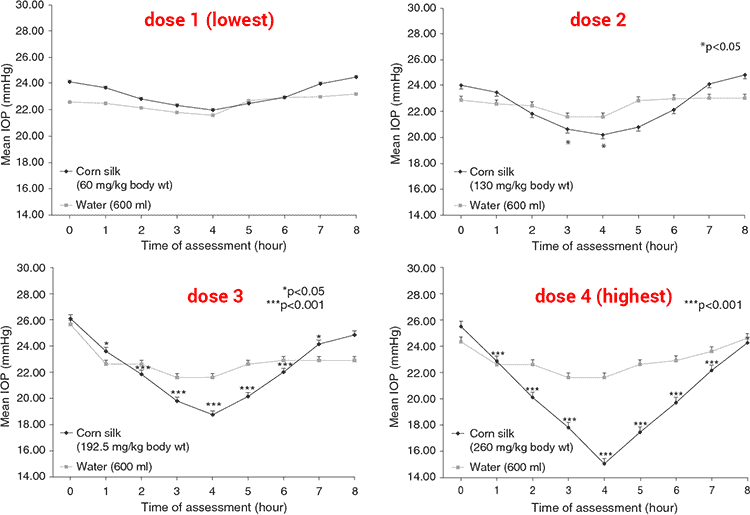 When compared to their same placebo (water) measurements, their diastolic (which is the lower number in blood pressure) decreased in a dose-dependent manner. 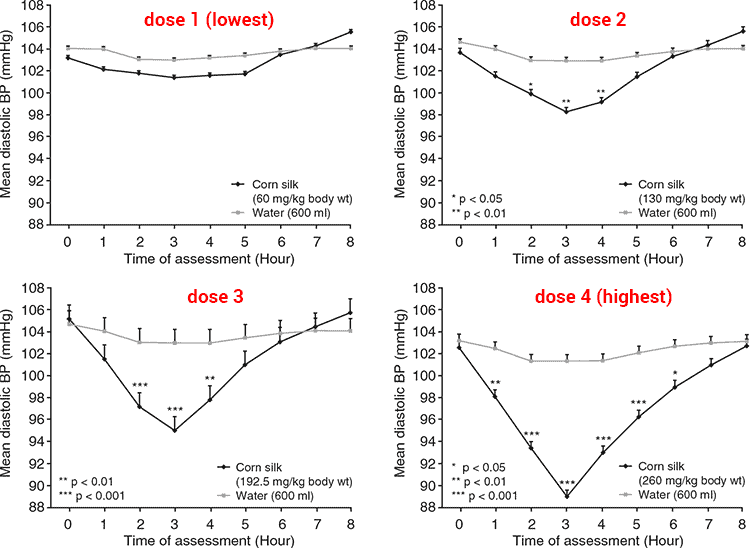 The corn silk doses were randomized, so each person received them in a random order. Regardless of when they received it, the higher the dose, the more their blood pressure dropped. The above study was actually done by the optometry department at a university. While they measured blood pressure, the parameter they were most interested in was intraocular pressure (IOP). That’s the fluid pressure inside your eyeball. High intraocular pressure is a major risk factor in glaucoma, which is a group of eye diseases that results in optic nerve damage and vision loss. As with blood pressure, the corn silk doses correlated with a statistically significant reduction in average intraocular pressure. The benefit was highest at 4 hours. 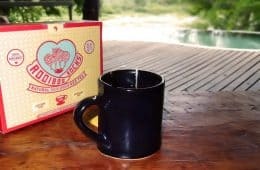 You will come across blogs and YouTube videos claiming that corn silk tea is how to stop bedwetting at night (nocturnal enuresis). None present a scientific case or even offer informal quantifiable results in children or adults. Since there is animal research to suggest corn silk increases urine production, it may actually make bedwetting at night worse! 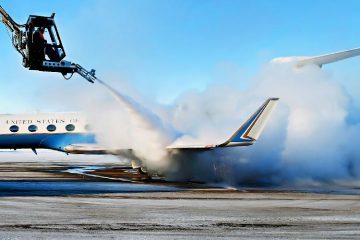 However, if it was being used earlier in the day, then it’s theoretically possible that it may lessen the amount of excess water the body has by the end of the day. Even if that does happen, no one knows the half-life or how long it works for. 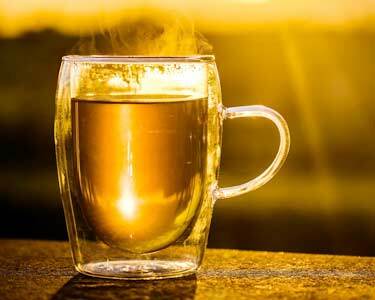 So it would be anyone’s guess as to what time you should start (and stop) drinking corn silk tea prior to bedtime. In the case of corn silk, there are no published papers suggesting it can help kidney stones or kidney failure. By increasing glomerular filtration rate, as seen in multiple rodent studies. Since none of these have been researched in humans, it’s premature to claim proven kidney benefits. Maysin, which is a major flavonoid of corn silk, was studied in androgen-independent human prostate cancer cells (PC-3). 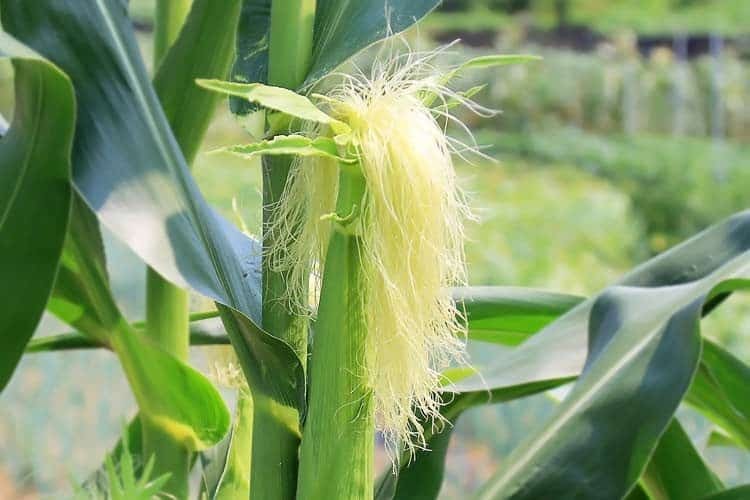 Using corn silk for hair growth has never been researched, but as mentioned in the prostate BPH study, its use did correlate with lower DHT and 5a-reductases. Both of those are factors in male pattern baldness. The prescription drug Propecia (finasteride) works by inhibiting the expression of the 5-alpha reductase enzyme, which regulates dihydrotestosterone (DHT) production. This lessens the harmful effect DHT can have on hair follicles. Powdered corn silk was all the rage in the 1960’s for makeup. This phase was short-lived as synthetic ingredients won out. Today, corn silk face powder is making a comeback and there’s science to suggest it may be a natural way to brighten your skin and reduce redness. 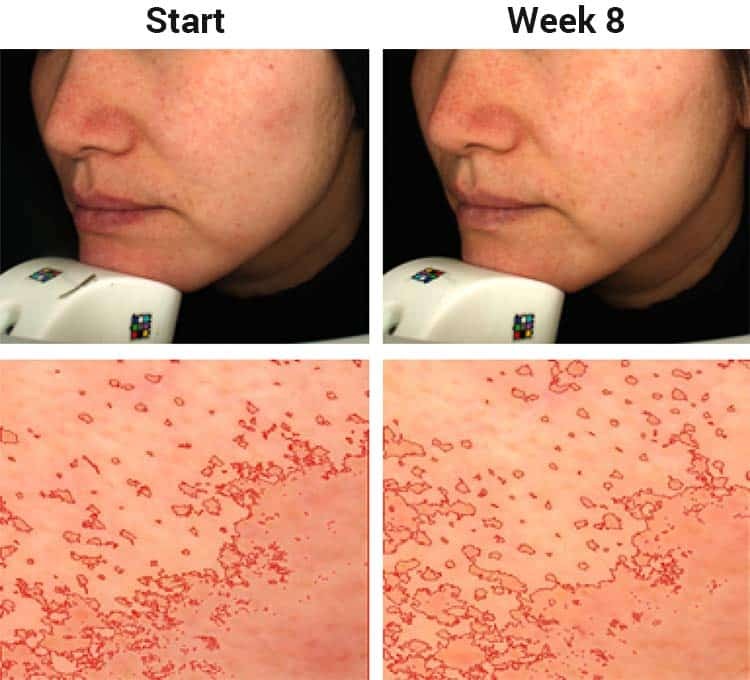 Using cultured human melan-A cells, which produce melanin, Korean scientists found that corn silk decreased the melanin production by 37.2% without signs of any cell toxicity. Corn silk capsules for bedwetting is an obscure remedy for kids and adults, so how about pets? 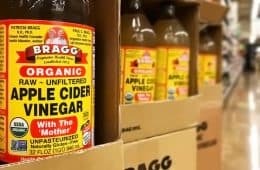 It’s actually a popular natural remedy for dog incontinence, or urine leakage. 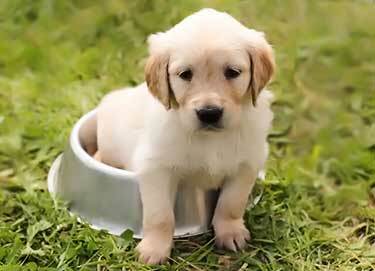 In both humans and dogs, loss of urine control can be caused by a number of things. It may be due to weak muscles at the bladder neck or pelvic floor. It could be due to nerve problems. Because these and other factors may play a role, there’s no single treatment or solution for curing it. Sometimes, a fix isn’t possible. In older dogs, urinary incontinence is often due to a malfunctioning sphincter. Sprayed female Cocker Spaniels, Dobermans, and Old English Sheepdogs are the breeds most affected. If you want to give it a try, the brand Only Natural Pet sells canine bladder control chewables on Amazon. It contains corn silk, as well as other herbal extracts. Using water pills (diuretics) for weight loss may result in short-term improvement, but long term they are extremely dangerous. You lose water, not body fat, and kidney failure is a potential outcome. But what if corn silk helps you lose weight in a different, healthier way? Thai scientists used purple corn in their experiment, which have higher amounts of antioxidants. 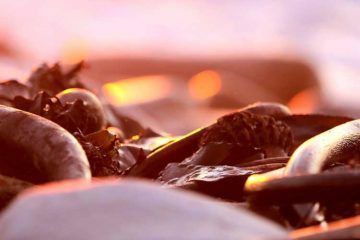 They said the anthocyanins (purple pigment), quercetin and phenolic acids in the silk had an anti-obesity effect by altering the adipocyte life cycle. Even though corn silk is high in potassium, it’s a diuretic and that may lead to a potassium deficiency (hypokalemia). The side effects which can accompany that include headache, dizziness, increased thirst, muscle cramping, gout, and diarrhea. As an electrolyte, potassium helps control your heart rate. Too much or too little can have serious consequences. 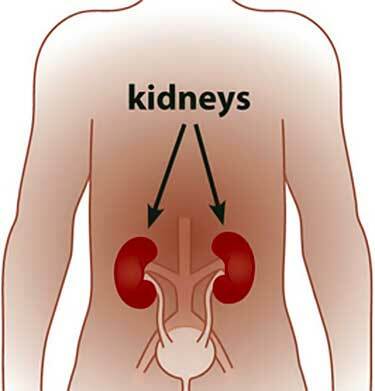 Long term use of diuretics is linked to kidney damage and failure. While lower blood pressure is often healthier for many people, it can be dangerous for people with hypotension (abnormally low blood pressure). Anyone on medication to control their blood pressure may experience an interaction, where the two used together create unexpected levels. Since some animal research has reported a decrease in blood glucose with consumption, this may cause complications and drug interactions for diabetics. If you are allergic to corn, you should avoid it. Since there is research to suggest that corn silk may stimulate the uterus, pregnant women should avoid it. There may be additional dangers during pregnancy that exist and are unknown, due to lack of relevant research. Is corn silk safe for dogs and cats? Being mammals, they are susceptible to the same adverse reactions as humans, and potentially others which have yet to be identified. There are two ways; homemade or using tea bags. To make it from scratch, you will need fresh unhusked ears of corn. Since these are sold seasonally, it may not be an option for you year ’round. Also keep in mind that over 90% of the corn sold in the U.S. is GMO and non-organic. Due to the prevalence of corn worms, it’s hard to find USDA certified organic corn that’s sold fresh. 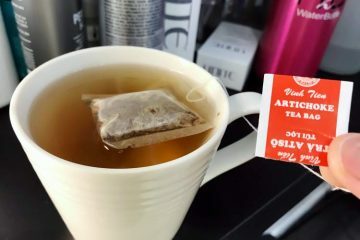 If this is an issue for you, buying these tea bags will be a better alternate. Peel the corn and collect the silk. Using 2-3 ears should provide 1/4 cup of silk. Rinse silk thoroughly and pat dry using towel. Place silk in sauce pan and add water. Bring to simmer and cover, continuing for 10 minutes. Pour the tea through a strainer and serve. Makes two servings of 6 oz. each. The other 4 oz. of water is lost due to evaporation. Zero calories and zero grams of fat. The easiest way to make tea is using pre-filled bags. Even here in Los Angeles, we rarely see it for sale. None of the chains we checked sold it, other than an obscure independent grocery store. 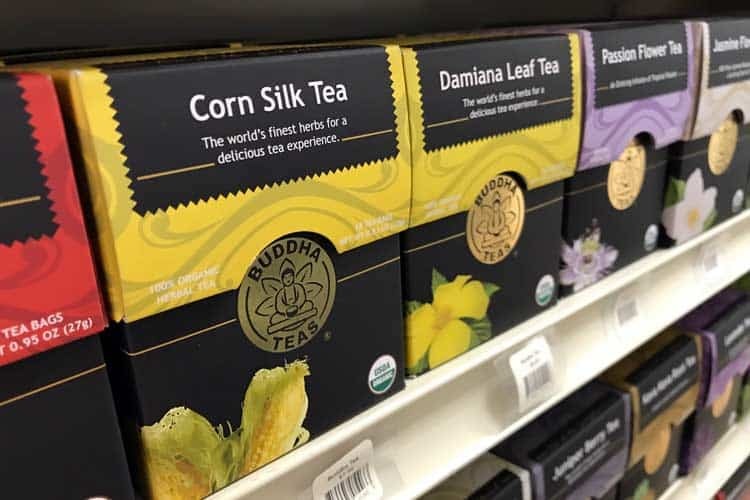 The brand Buddha sells corn silk tea bags and you can get them on Amazon. They are made using non-GMO and organic corn, using unbleached bags with no artificial flavorings, colorings, or preservatives. As a dietary supplement, you can also buy corn silk capsules. Nature’s Way sells them in a 400 mg strength, using vegetarian capsules. 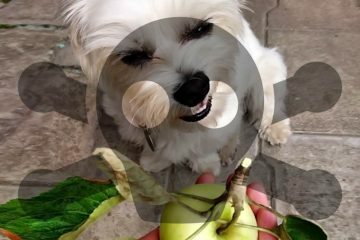 Some reviews report using them for dogs but you should consult a vet before doing so. 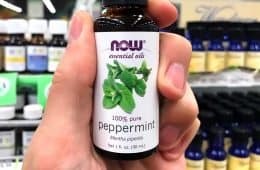 You can buy Nature’s Way capsules on Amazon. Lastly, there is the loose powder. Use for making teas or as a supplement. You can buy the powder is different sizes. Remember that the suspected health benefits remain unproven. It should only be used as a food/drink or a dietary supplement. Do not use it for any disease.